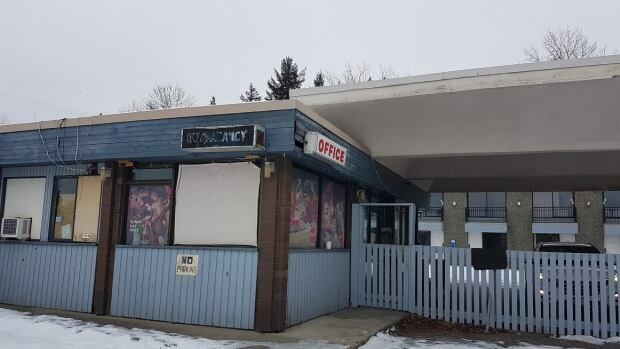 The City of Prince George revoked the Connaught Motor Inn's business licence after RCMP revealed it was called to the property hundreds of times a year. Prince George RCMPThe bylaw is aimed at having repeat offenders pay for police time, rather than being 'subsidized' by taxpayers, said Coun. Brian Skakun. Many cities here have that too. It's a great way to make sure that when a tenant gets beaten up by her boyfriend (or somebody else), she doesn't drag the cops away from their crullers and coffee. And really, who cares if a single mom gets the stuffing kicked out of her? Congratulations for completely missing the point. of course they would have to charge the guy..it's cutting into their donut time and graft. Well, I don't live in Canada, but hereabouts some cities do this to "cut down on the waste of police resources." Intended or not, this leads to renters who call the police being kicked out by landlords fearing fines. Some of these renters have legitimate problems the police should be involved with. There's folk that claim the purpose is to get "undesirables" out of town. The property owners will have to get a rebate on the municipal taxes if they have to pay extra for police and fire protection. Probably the same police who are busy attending to the victim of a similar crime in another part of the city. Cities need to make the best use of their resources operating as they are under budget restraints. I'd say that having the police called to the same residence 700 times in a year and a half most definitely is not a good use of those resources at all. Fining the owners sends a message that they need to clean up their act. They might try a proactive approach such as talking with their tenants. Since they continue to collect the rent, maybe they should put a bit of effort into providing a safer environment for them. Its was a Motor Inn - not a residence. City council upheld a three-month suspension of the business licence for the Connaught Motor Inn after it was described as a crime hotspot during a hearing on the issue Wednesday. In the 18 months he's been in the city, Prince George RCMP Supt. Warren Brown said there have been more than 700 calls for service at the motel, located at the corner of Victoria St. and Patricia Blvd., most related to drugs, prostitution and theft. "Since I've been in command of this detachment I'm not aware of a location, specifically hotels and motels, where we provide more police service and attention," Brown told council members. "The Connaught Motor Inn has come to my attention because it's the most troublesome hotspot that we have in our community, as a motel or as a business, for crime." Although the major source of concern, crime wasn't the only problem raised during the more-than three-hour hearing, held because the motel's owners had appealed a staff decision to suspend the licence. Concerns about maintenance of the motel's buildings and property in general were also raised when a city building inspector and bylaw enforcement officer and a Prince George Fire Rescue fire prevention officer also testified. As well, since November 2012, WorkSafeBC has levied more than $60,000 worth of fines against the Connaught's owners for either repeat or continuing violations, most of them related to a risk of violence to staff, council heard. When given chances to speak, owner Joe Carhoun said the Connaught was built by his father roughly 50 years ago and the family continues to own the business. But he also conceded they now all now live in the Lower Mainland and maintained they not aware of how bad the situation had become. But since getting the full picture, Carhoun said steps are being taken. Prime among them is to no longer accept monthly tenants and to install a six-foot high fence around the property's perimeter, complete with gray slats for screening, and with just a single entrance that would be manned by security. Visitors would not be allowed onto the property after a certain time without registering, he added. When it was noted that no building permits have been taken out for the work or for any of the other renovations he said have been planned for the property, Carhoun said he only recently secured the "more than a million dollars" of financing he needed to get the work done. Carhoun also said someone is interested in reopening the restaurant on the site, employing more than 30 people in the process, provided the licence isn't pulled. Carhoun, who was notified of staff's decision by a letter sent on April 8, claimed he was blindsided. But counsel for the city, Troy DeSousa, said the letter was simply the culmination of a long running effort to get the motel's owners to change their act. Council members delivered some harsh words to Carhoun in voting unanimously to invoke the suspension. "I think the lack of action by yourself and your business quite frankly is pathetic," Coun. Brian Skakun said. "You give absentee landlords a bad name." Skakun went on to suggest council consider a bylaw giving it the power to recover costs of policing and city inspections and enforcement from problem property owners. Coun. Jillian Merrick accused the owners of blaming others, notably the tenants and employees, and not taking much personal responsibility for the troubles at the property. "The reality is this business is taking much more out of the financial coffers of the city than it's offering back," Merrick said. 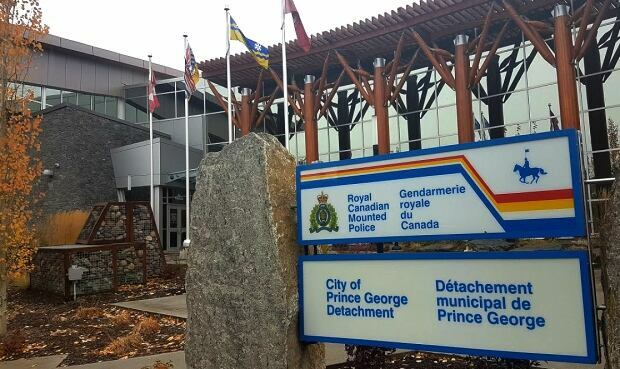 Mayor Lyn Hall said the "hundreds and hundreds" of calls the RCMP has had to respond to at the Connaught has had a "huge impact" on the city's budget. The suspension for the Connaught will come into effect on July 1 to provide enough time to serve notice to the motel's monthly tenants. Without the business licence, the Connaught cannot operate during those three months and during that time must meet several requirements imposed by the city to resume business. The decision comes slightly more than two years after council suspended for one year the business licence for the Willow Inn, separated by only a vacant lot from the Connaught, over similar concerns. The Willow Inn is now up for sale and has remained empty. on the other hand maybe having all the trouble in one spot makers it easier to police. If they have an on-sight office Yes (and I bet the local RCMP have thought about it even if it wouldn't work for any number of reasons). 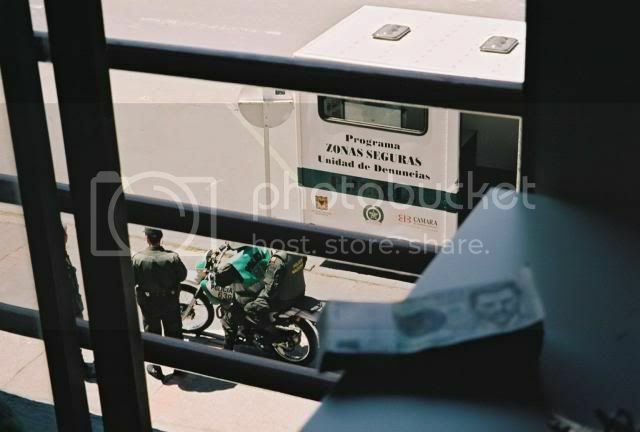 I've actually seem something similar in Bogotá-city police use travel trailers for mini offices in trouble hot spots-this was just outside my room. Is it easier to make those 700 calls to different addresses? The idea of a Red Light District is not exactly new. Do you ever bother to read what you've written before you post? A little editing or more thought would increase your chances of actually stating something that makes even an iota of sense. Unfortunately no matter how much I edit you are still an idiot.